What is an Airport Operational Database (AODB)? The AODB is the information nerve center of an integrated airport IT system. The AODB consists of an SQL database, communications layer and visual system that link various systems in the airport together. The AODB intertwines each system and centralizes the communications protocols. This centralized database reduces the redundant lines of communications and streamlines the airports needs into one easy to manage system. This not only makes day to day operations smoother but also provides Management Personnel historical, real time and future forecast reports to assist in strategic decision making. TSI’s Airport Operational Database (AODB) serves as a central repository and translator for all essential airport information systems in a real-time environment. The AODB streamlines and minimizes data entry, increases operational effectiveness, and assures accuracy of information by cross-referencing information between various systems. The system increases overall efficiency and performance of operations by providing accurate historical and real-time airport information and compiling the information into a single database. The AODB is a means of disseminating decision-making power to airport and airline staff. With the AODB providing the latest operational information to terminals, users are able to perform their responsibilities in a well-informed and timely manner. The AODB creates a genuine single set of operational data. Accepts and delivers centralized information to integrated airport systems. 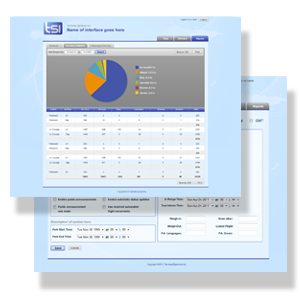 With a central database, information only needs to be entered once, improving accuracy of information. All of the communication between the connected systems happens in real-time with no delays. Generates accurate airport information reports for billing purposes.